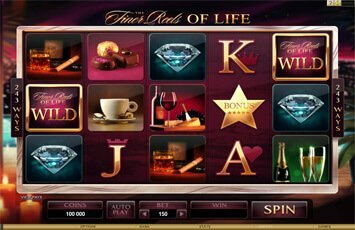 The Finer Reels Of Life Slot - Review, Free Demo Game & Free Bonus! The Finer Reels of Life slot may be a lesser known and preferred choice of game but if you consider the fact that it’s a more volatile version of two of the hottest slots, Immortal Romance and Thunderstruck II slot then it’s definitely worth the look. 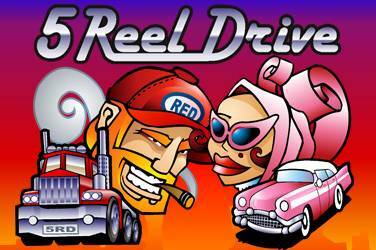 The game was built on the same engine and it features the same 243 winning lines plus four different Free Spin bonus game options. The theme is stylish and quite smart with a comfortable and relaxing ambient music playing all the time, although for today standards this look may come across as outdated. 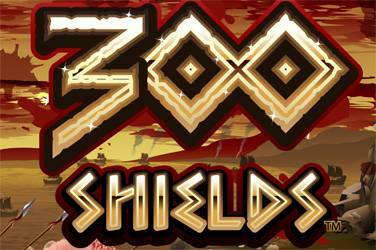 Nevertheless, the game has a lot to offer and it’s innovative on some features. For example the bonus features. 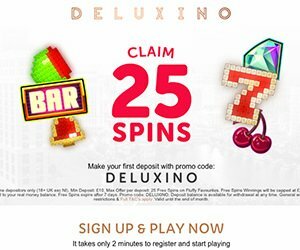 There are four different bonus features which are basically Free Spins that range from getting 10 free spins with a 5x multiplier to 25 free spins with up to 6x multiplier. The free spins feature something called the “rolling reels” which is essentially a feature much like the “Tumbling Reels” in Da Vinci Diamonds or the tumbling blocks in Gonzo’s Quest. So there you go, it’s a different slot game then what we usually feature here at Free Slots UK but let us not forget the huge winning potential of this game. Bear in mind that it’s features like the 243 payline engine and similar from Thunderstruck and Immortal Romance that make this slot game a discretely hidden gem. 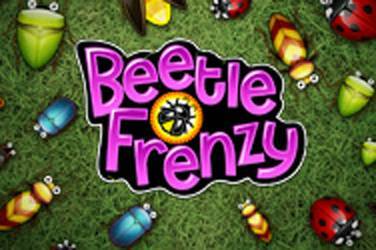 Where to play Finer Reels of Life slots online free? Slots similar to the Finer Reels of Life slot. 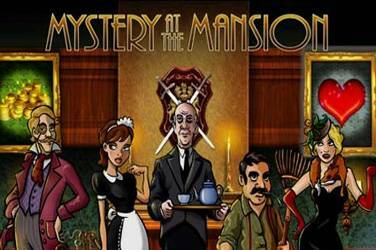 Fancy winning for real at The Finer Reels of Life slots? Lady Lucks casino is one of our preferred choices when it comes to playing video slots from Microgaming. 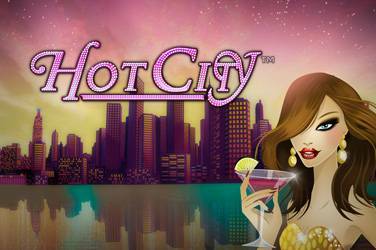 Here you can play the full suite of Microgaming casino and video slot games safe and fair. Something we love about RedFlush Casino is that you can play The Finer Reels of Life slot for free using a £1,000 Free No Deposit bonus. Sign up to RedFlush, download the casino or play online and play for one hour using £1,000 Free on games like Mega Moolah Isis, Avalon slot, Thunderstruck II slot and more. As we mentioned in our quick review, The Finer Reels of Life slot was built on the same 243 winning lines engine as the one used in Thunderstruck II slot and (consequently) in Immortal Romance slot, both from Microgaming. What’s more is the bonus features which is also quite similar. There are four different free spins features which are unlocked gradually. And perhaps a lesser obvious connection to The Finer Reels of Life slot are the popular games from IGT and NetEnt Da Vinci Diamonds slot and Gonzo’s Quest slot respectively. I’m referring to the “rolling reels” feature in The Finer Reels of Life which resemble quite a lot the “tumbling reels” first featured in Da Vinci Diamonds slot and then in NetEnt’s web sensation Gonzo’s Quest slot.